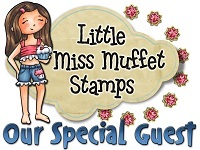 This cute image is from Bugaboo Stamps and it reminds me of fun summer days as a child. 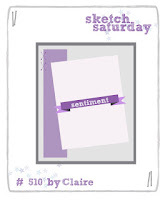 used the sketch at Stella Says Sketch. I used ProMarkers to color the image, then cut it with an Unbranded die. The three papers for the background and the ribbon were all scraps. In fact, the green polka dot piece was so small, I had to cut it in two and add the pieces so that they would show at the top and bottom of the image, giving the illusion of being one, long piece. The bow was hand made from white ribbon but I 'dyed' it with a ProMarker to get that color of pink. 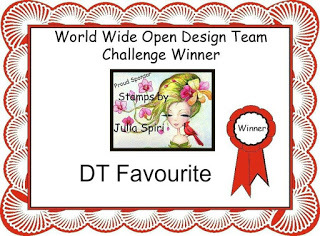 I was invited to be a GDT at the Outlawz Sunday CAS challenge the next two Sundays and I was delighted to say "Yes." Big changes are in the wind on the Sunday but all I can do is tell you that much and nothing more. For this week, the challenge theme is "Image with a Tree or Trees." Please don't ask me who did the image. 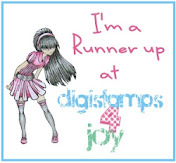 That was in my file of printed or stamped images and I had put no kind of identifier on it. But it was perfect for this theme so I decided to use it. I colored only the tree trunk with polychromos pencils, leaving the rest in black and white. 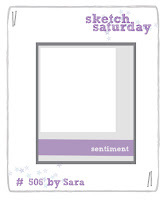 I know some people will look at this card design and wonder if it really fits into the CAS category but one of my favorite things to do is to use a die cut for some visual interest but leave lots of open space and no embellishments so I think it fits in just fine. I used a Spellbinders' die to cut two different shades of tan CS, then sliced those cut pieces in two - one lengthwise and the other across the width. 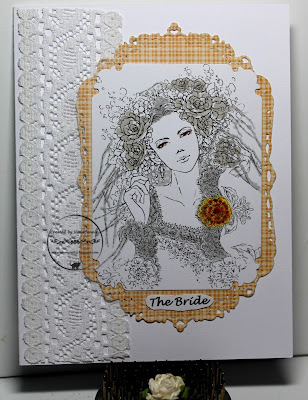 Since each one would have been smaller than the image, I adhered the sliced die cuts to both sides and both ends, then added that entire piece to a dark brown card front which had been embossed with my "Linen" folder. I didn't think it even needed a sentiment. That kitten is clearly the lookout for a band of stealthy, feline, vagrants who are out to create as much mischief as possible! He's watching to see when their human will discovered their escape from the house into the great outdoors and to sound the warning to get back inside before the door shuts forever! I was so intrigued by the latest challenge at AuroraWings where they are asking us to do something in black and white - with or without a pop of color! 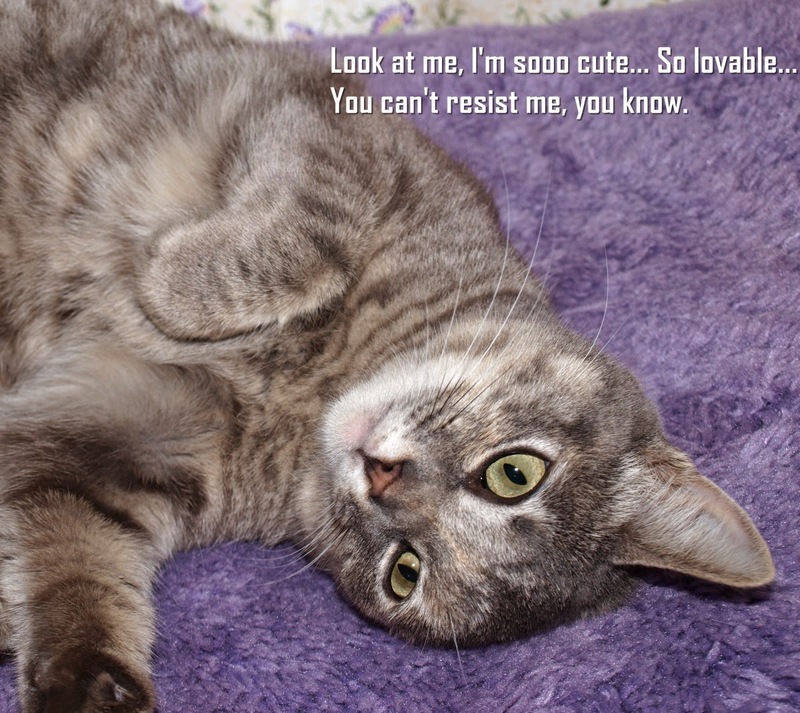 I simply had to find one of Mitzi's images which would work in black and white. Here's what I found. What do you think? I colored with ProMarkers in various shades of deep gray and golden yellows for the flower. 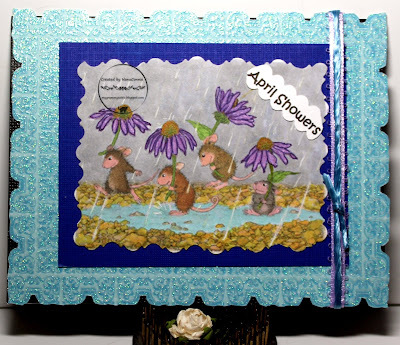 I cut the image with a plain rectangle die (Spellbinders), then punched the corners (Fiskars.) 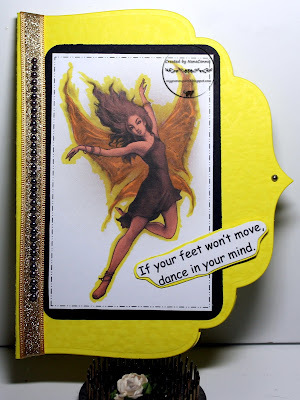 The dp is cut with another Spellbinders die and I layered the image onto it. Another Friday so another new challenge at QKR Stampede. As always, our theme is "Anything Goes" and there's no requirement to use a QKR image (or Eureka - our sister brand which I used this week) or sentiment. However, if you do use one of those, your entry will be in a completely separate draw and that increases your chances of winning by quite a lot. 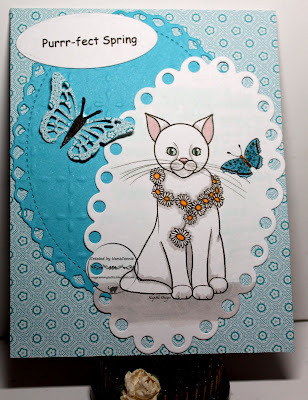 This week, I used an image from Eureka Stamps called "Big n Little Cat." 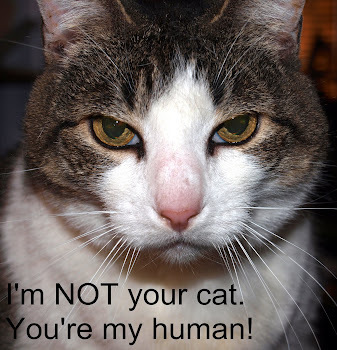 We all know that cats are my favorite animals but, in truth, I'm a general animal lover -- all animals! 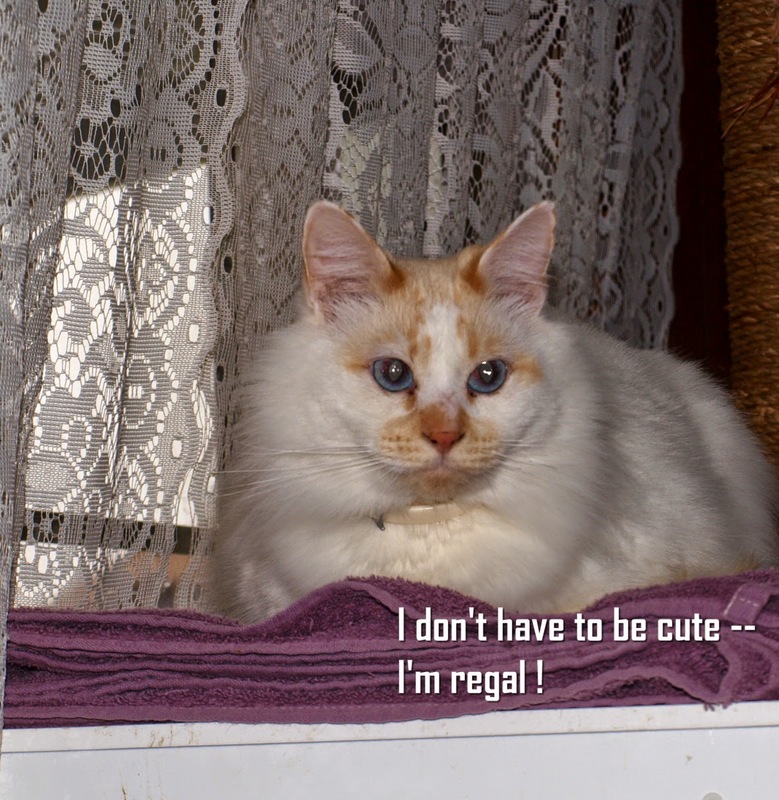 I'm required to say that cats are my favorites because my feline fur babies would throw me out of 'their' house if they thought for one second that dogs or rabbits or horses might have even a second or third place in my heart. I colored with my ProMarkers and framed it with a scrap of embossed CS which had been cut with a die from Cheapo dies. 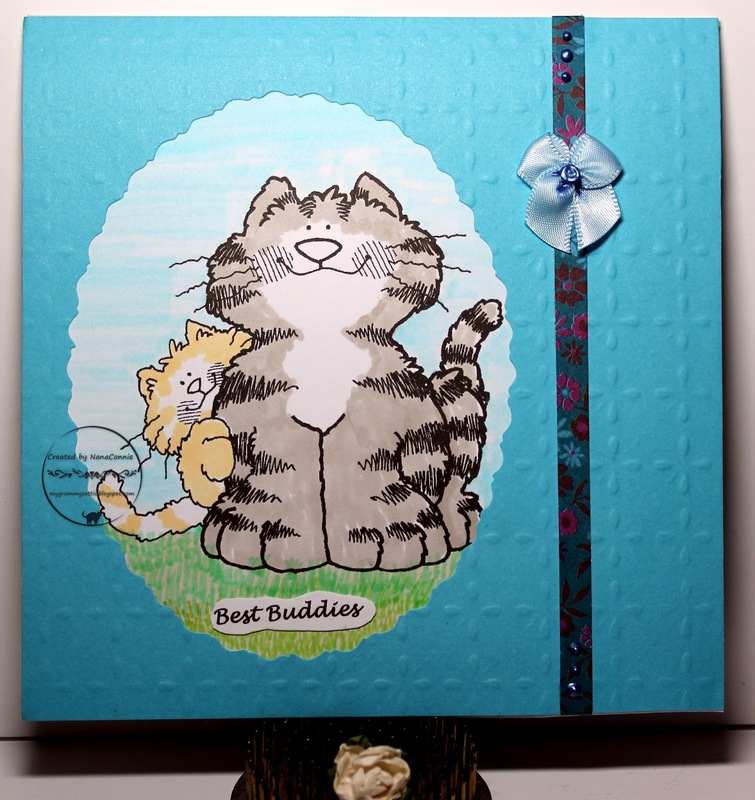 The 'ribbon' strip is also a scrap and I added one of my signature bows. Instead of sewing on a pearl, I used blue Pearl Drops in the center. Another of my CAS design with lots of open space, even if not the usual "white" space, which will be perfect for another masculine card. I'm so excited to share with you today as this is my first card done as a Guest Designer on the Colour Crazy Challenge. Ching-Chou Kuik has graciously agreed to be our sponsor and has given us the images we used. I chose Little Bookworm Fairy. I've been a fan of Ching-Chou Kuik for a few years now and I do love coloring her images. 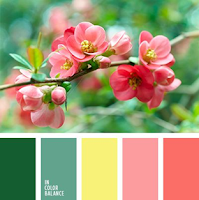 I was inspired by the colors at Sugar Pea Designs. I used ProMarkers to color the image, adding purple Nuvo Crystal Drops to the flowers in her hair. Sorry but I forgot to keep track of the exact colors but next time, I promise to have a list for you. 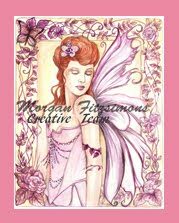 I also added glitter to her wings before cutting the image and its frame with dies from Sizzix. 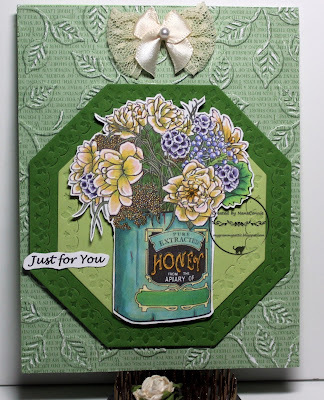 I made a shaped card using a manual die from Tattered Lace. The glittered "ribbon" is actually washi tape. I tied a bow with sheer burgundy ribbon and added the white rose on top of it. 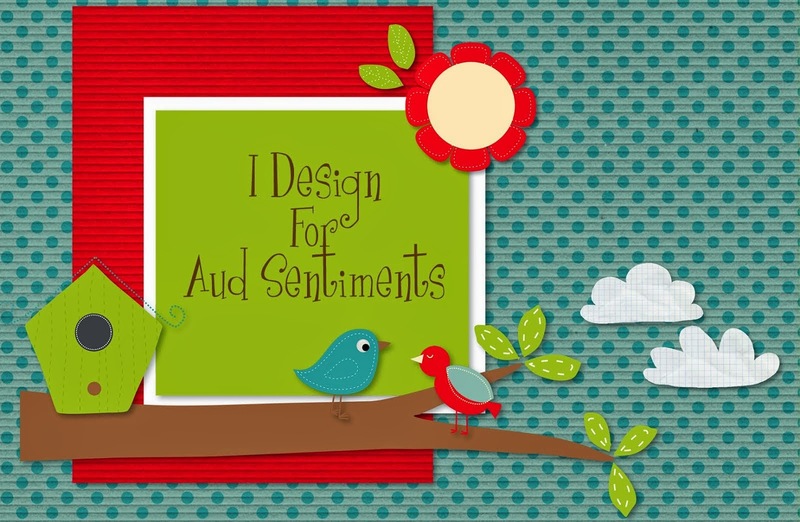 The sentiment was printed, hand cut, and added. It dawned on me the other day that I'm living in a house which has no geranium plants anywhere. To most of you, that's kind of meaningless but I've had geraniums at every house where I've lived since I was a child and my mother raised them. The two years I spent in Anchorage, AK, I had geraniums in pots which lived indoors all winter and then went crazy in the long hours of summer sunshine. I colored with ProMarkers and then fussy cut the image. I printed and added the birthday sentiment across the clay pot, then added the image to the background using dimensional tape. The background is embossed Swiss Dots and I added sparkle to each individual dot. I tied one of my bowtie bows using my bow maker and added it to the top of the card. 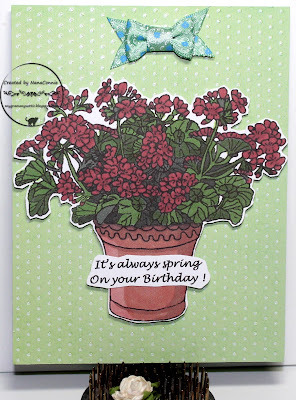 Rather simple in design but it shows off the geraniums, which was my intent all along. We've had the April Showers (more than we usually get where I live) and now I want to see the May Flowers. My garden is growing strong and healthy plants and in another month, we'll be harvesting the first of the tomatoes and maybe even a summer squash or two. Watermelons should follow in early July, and it's beginning to look like we may have a bumper crop of beans and peas. But I want flowers! :-D This is the best I can have right now, I guess. 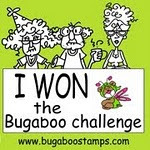 The image is from Bugaboo Stamps and I colored with ProMarkers. The frame was cut with a die from Amy's Designs and I layered it directly onto the image. That entire thing was placed onto a scrap of dp from a Bo Bunny stack. It has a hole in it from a die cut done for another project but it's hidden underneath the image. I added grosgrain ribbon and 'dyed' my handmade bow with a marker to get just the shade of golden yellow I wanted. 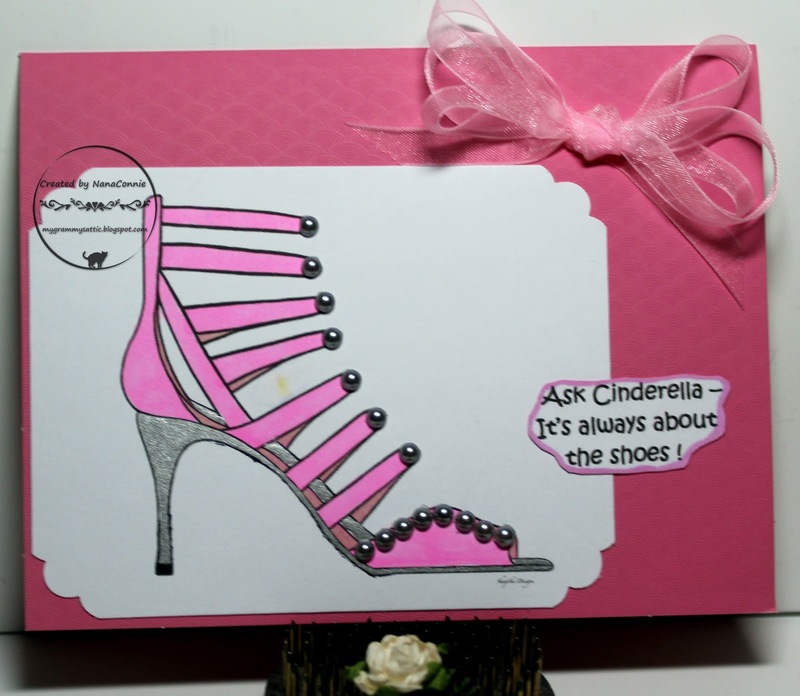 The sentiment was printed, hand cut, and inked on the edges before adding it to the top of the card front. I took one of the flower piece negatives which fell out after cutting and added it on top of the ribbon. As a final touch of embellishment, I added tiny pearls to each of the large flowers in the die cut frame. My handmade bow already had a pearl. This beautiful lady, surrounded by dahlias, comes from Ching-Chou Kuik, where they want us to use our favorite colors. 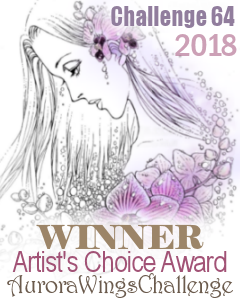 Of course, you couldn't guess from the card below that my favorites are always in the purple family - everything from periwinkle blue to lavenders and lilacs, to the deepest red-violet or burgundy. 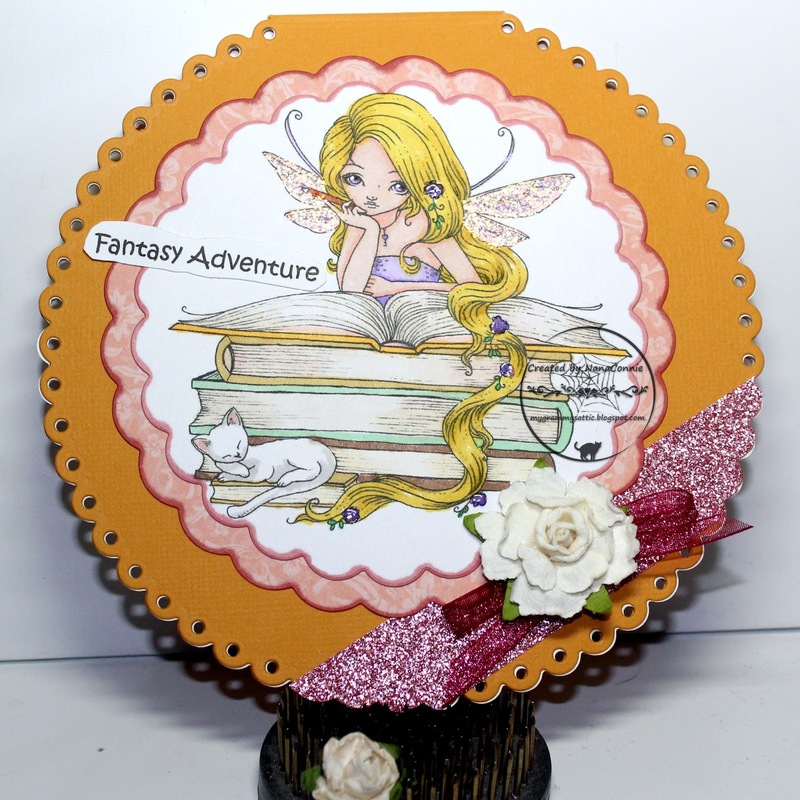 I colored with my ProMarkers, then cut the image and the oval frames with dies from both QuicKutz and Spellbinders. 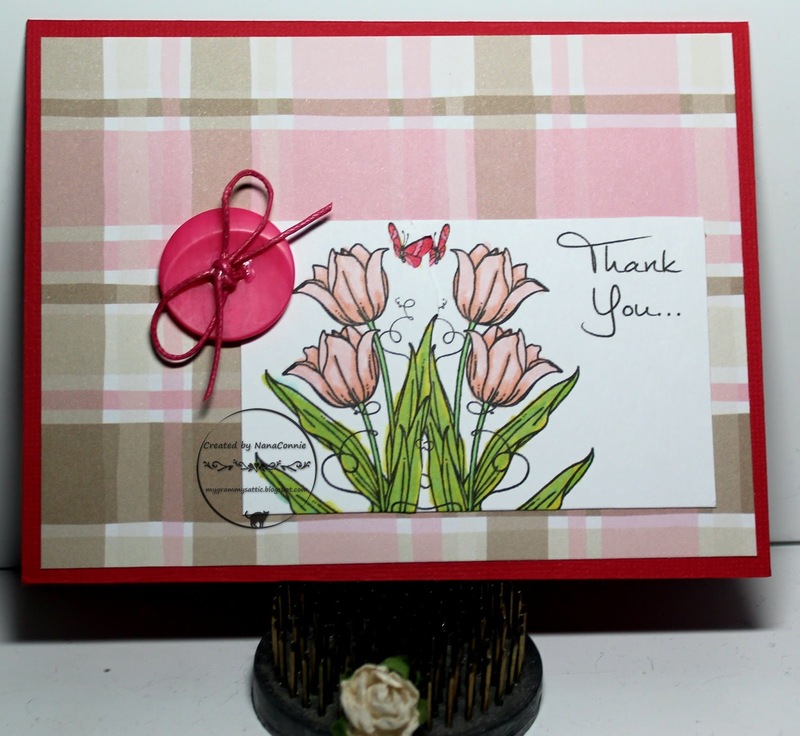 Stacking them all together gives some wonderful dimension to the card. The strip of dp with the butterflies was in my scrap basket and I think it is from SU. 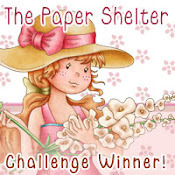 The background paper is digital and came from one of the sets at MHK Designs. The large butterfly is machine embroidered using purple, white and black thread. 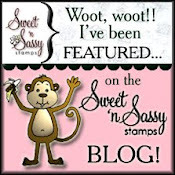 I fell in love with this image from Sparkle n Sprinkle the instant I saw it. I think it's by Beccy Muir but I could be wrong on that one. In any case, it's lovely and I was so happy to color it up! I colored with ProMarkers and pencils, with little touches of white gel pan. 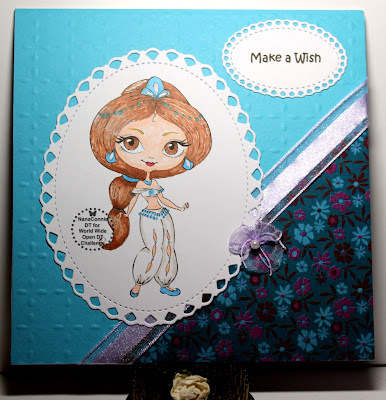 The background is dp from SU, dry embossed with a folder from Darice. 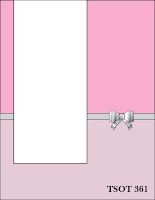 The image is fussy cut with a very narrow, white, border. 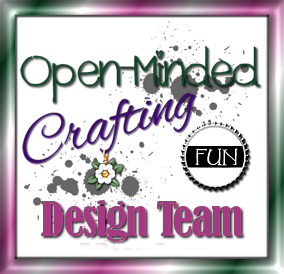 I mounted it onto the two die cut, octagon, frames using dimensional dots. The octagons are also embossed all around the edges. I printed and hand cut the sentiment, then added it to the image piece. The final step was making two bows, one from lace & the other from satin ribbon, and mounting them together as a double bow. There was so much going on visually that I decided the bows were all that was needed by way of embellishment. Another really fun image this month from Dragon's Lair for their progressive challenge on their FB page. 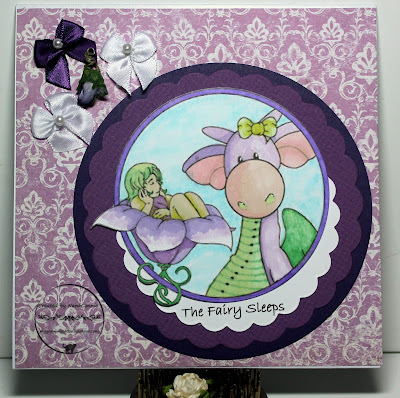 I love that the fairy is curled up asleep in the flower with the dragon watching over her. I used ProMarkers, Copics, and water color pencils to color the image. I used dies from QuicKutz and Sizzix to cut and mat the image. 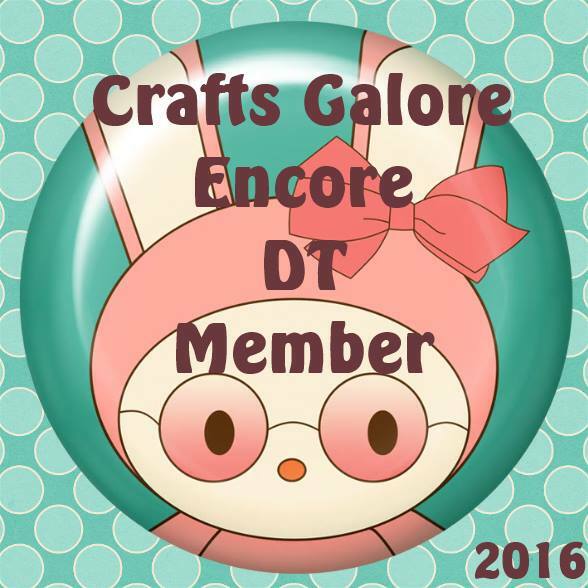 The background dp came from my scrap stash. I added three of my signature bows and a tiny rose bud, and called it finished. 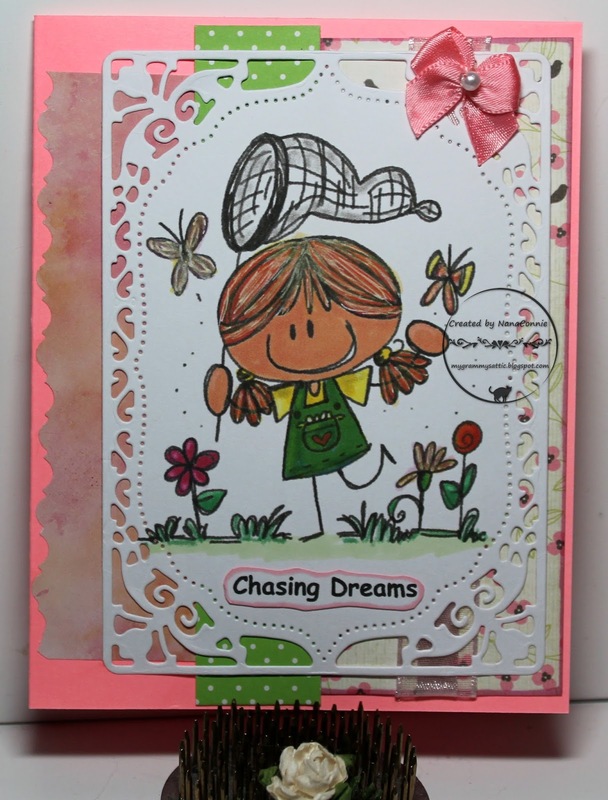 The image is from Bugaboo Stamps (Catch the Bug) and I colored it with my ProMarkers. The dark blue CS frame is a leftover, negative, scrap laid on top of the image and then trimmed to fit. I printed the sentiment, hand cut it and adhered it to the bottom of the frame. 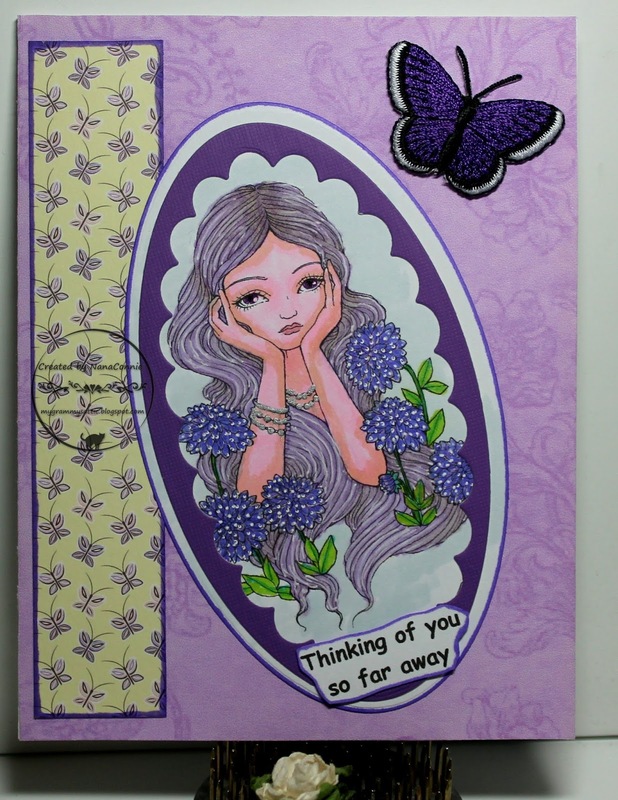 The lavender CS (also a scrap) is embossed and used for the card front. It actually has a die cut hole in it but I covered that by tilting the image slightly when I adhered it. 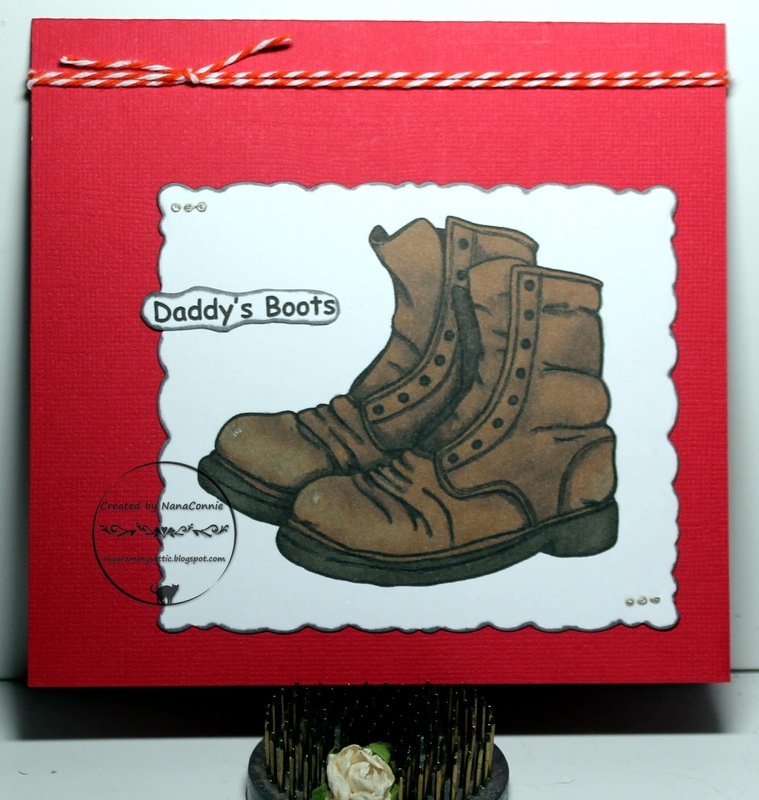 I added no embellishments at all because I wanted a very CAS card for a boy. I colored with ProMarkers, added a sparkly flower to her hair, and used a die from Spellbinders to cut the image. The sparkly, glittered, ribbon is from Really Reasonable Ribbon and, between the glitter and the interesting fold at the top, I used it to add some texture. I printed the sentiment and cut it with another scalloped die, then cut that in half lengthwise. I found an orchid in my stash of flowers and added it. After that, I left it as a CAS design. I colored with ProMarkers, then cut the image with a Gina Marie die. I matted it with red CS to pull out the red in the roses. The strip of red behind the lace and ribbon is another piece of that same CS even though it looks more pink. The flowers were in my stash. The card features an image from Fabrika Fantasy - I think it's called Fire Fairy. I colored it with a combination of polychromos pencils and ProMarkers, trying to keep an underlying 'sepia' tone, highlighted with bright yellow. 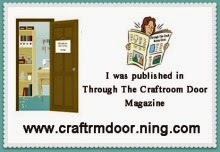 I cut the image with one of my newer stitched dies from Cheapo Dies. 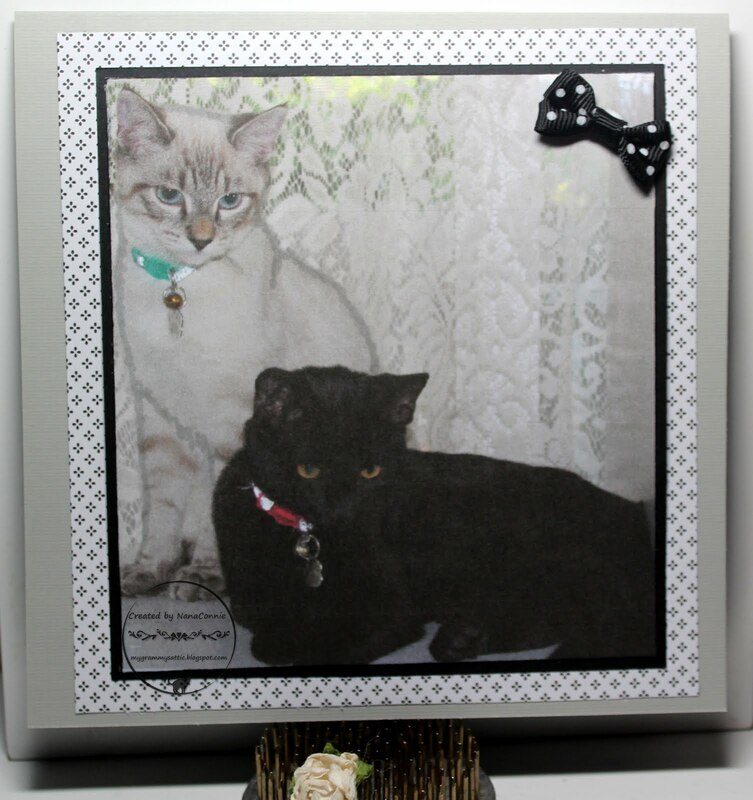 I matted it with black CS and shaped the corners with a Fiskars' punch. The card itself was shaped with one of my extra large dies from Spellbinders, then folded in half. I added the glittered ribbon and laid down a row of bronze pearls to accent the sepia look. I put one, tiny, bronze, pearl on the opposite side and then added the sentiment. Today's card makes me feel like I'm back on the SheepSki Designs team since this is one of Andrea's images. :-D It's one of my favorite cats and it's also the monthly freebie at the Outlawz Progressive challenge. 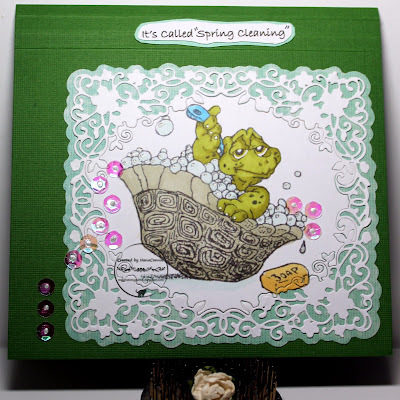 Before I started this card, I decided that it was time to clear off the crafting desk and that means using things which are on the desktop. Sometimes, as was the case with this card, I can use nothing BUT things which are left on the desk; other times, I have to add a bit here and there. I colored with 4 ProMarkers - gray, teal, pale pink, and golden yellow. As I used them, I slid them back into their proper cubbyholes where I keep all my markers, sorted by main color. 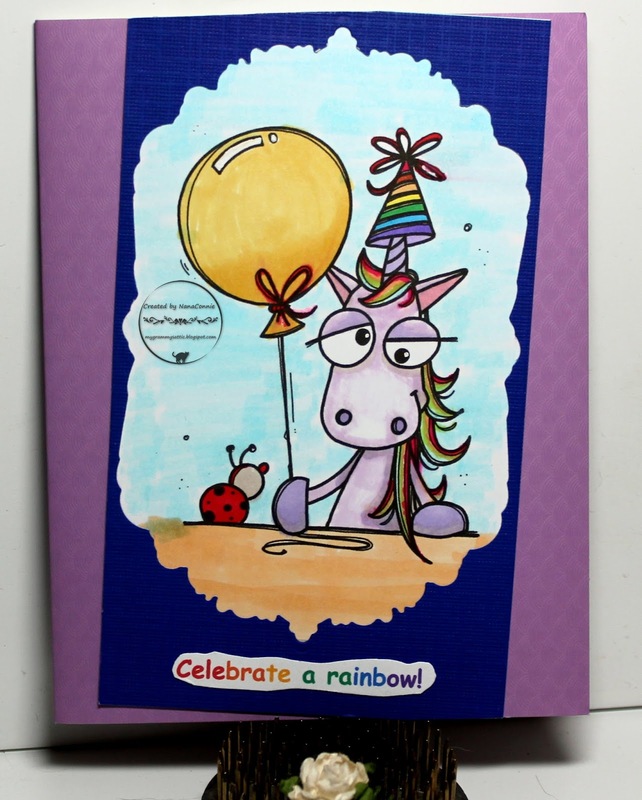 The oval QuicKutz die was on the desk and I used it to cut the image, then put it back in the envelope with the set. 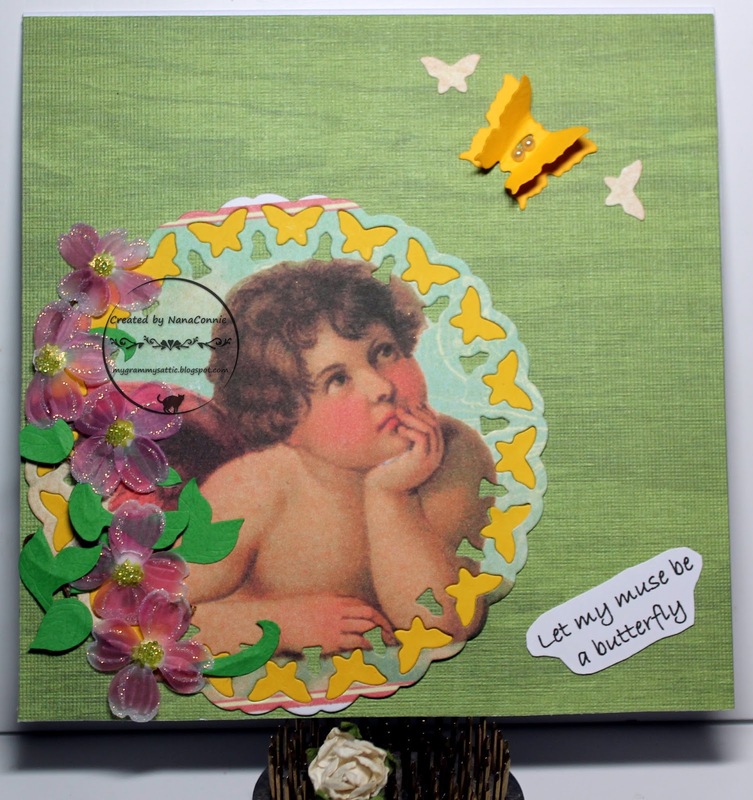 Since the image had a butterfly, and since the Cheery Lynn butterfly die was also on the table, I picked through the dp piled up, found the piece I used for the background, trimmed it to size and used the cut off to die cut the butterfly. Digging through the papers brought to light the second oval - already die cut with an Unbranded die- and since the teal color was perfect, I added it to the card design. Finally, I got to the sentiment. 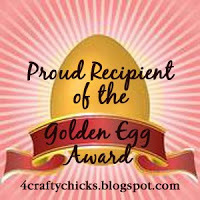 It was printed and since there was a small, oval die from Spellbinders waiting to be put away, I used it to cut the sentiment. I liked the repetition of ovals and of butterflies. Who knew when I started that a card design would come together out of that messy pile on the desk?! :-D Of course, it took me another half hour to clear the rest of that messy pile off the desk completely. 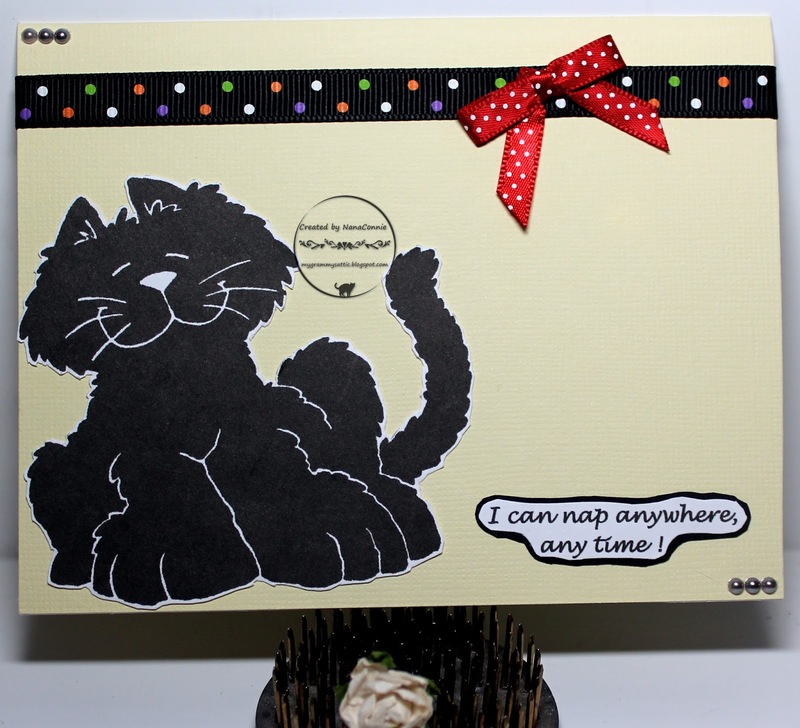 For the newest weekly challenge starting today at QKR Stampede, I made a card I needed for a belated birthday and used the funniest image - "Black Leaning Cat - ES1407" which is from our sister shop, Eureka Stamps. Since this card is for a guy, I kept it pretty CAS. The image is fussy cut (by hand) and the sentiment was printed and cut by hand, then matted and hand cut again. I found the polka dot ribbon with the rainbow dots in my stash and used a scrap of red, polka dot, satin, ribbon to hand tie the little bow. I added three metal beads to the top and the bottom and called it finished. Inside it says, "I must have napped right through your birthday!" 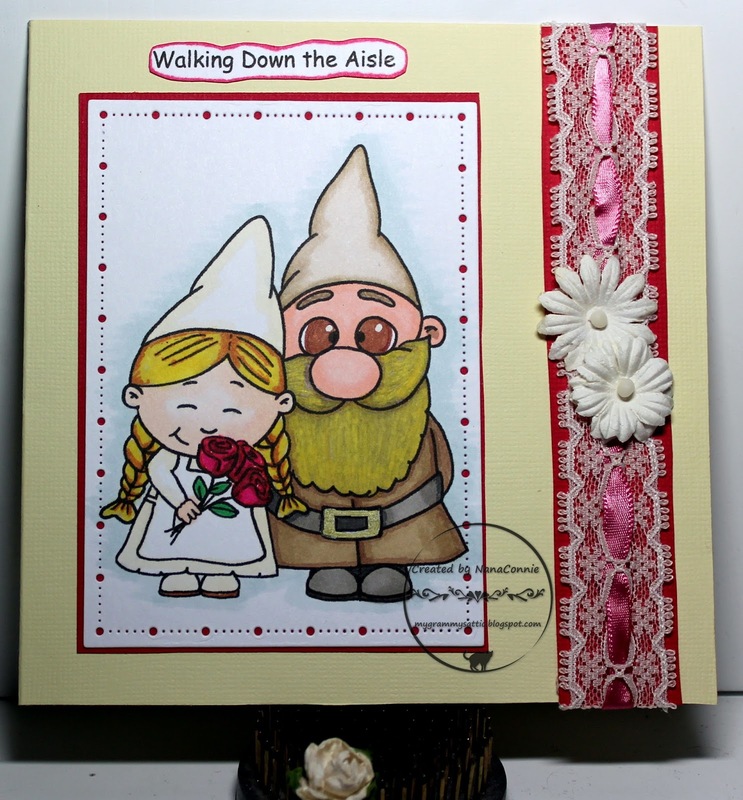 I colored with ProMarkers and gel inks, then cut the image with a die from Spellbinders. This card shows off one of my favorite techniques which is making CAS cards that look much more complex than they are. 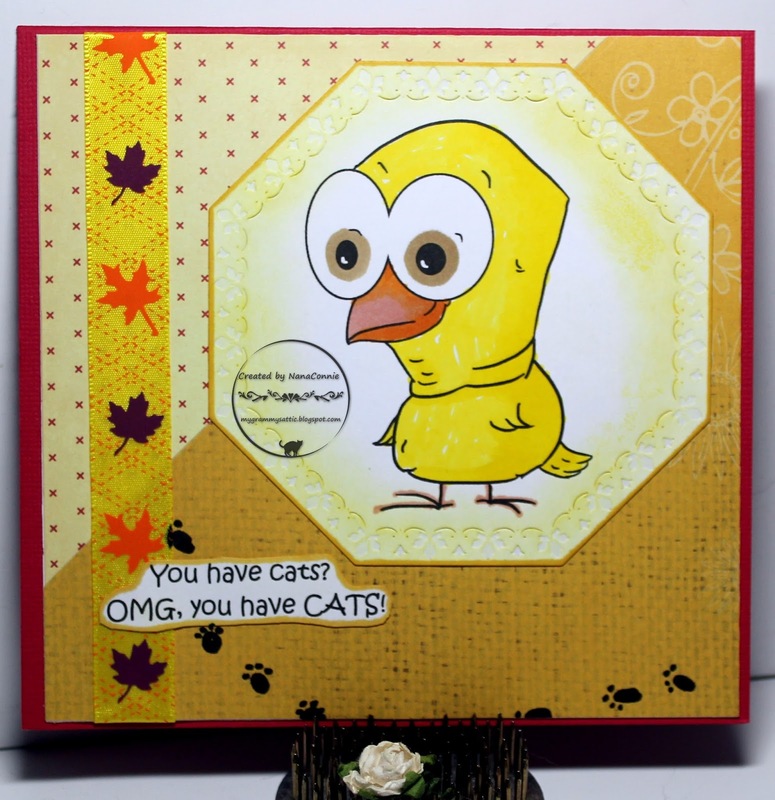 I used one of my fancy frame dies to cut the image and then layered it onto the card front. When doing this technique, I always keep embellishment to a minimum; in this case using only a dyed, lace, bow-tie bow. I printed and hand cut the sentiment, then added it to the bottom of the image. With that, I was done! I was in need of a quick "Thank You" card and this cute image from Bugaboo Stamps was perfect. 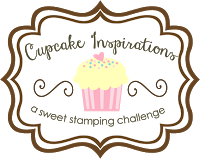 While I was planning it, I looked at the challenge theme from Catch the Bug and it was a recipe challenge: 1 button, 2 images, & 3 layers. but I flipped it so that I could use it horizontally. When I printed the image, I did it twice on leftover bits of white CS, reversing one of the images as I did it. The sentiment is part of the image but I cut it off the reversed image so that it was only on the other side. I colored with ProMarkers and cut one of the images with a simple rectangle die from Spellbinders. I hand cut the other image so that I could merge it with the other image. A tiny bit of the cut off sentiment still showed so I decided that was where I'd put the button. I search my collection of buttons, looking for a large one. I laced it with a scrap of jute cord and tied that into a bow. In my stash, I found the pink and tan, plaid paper and, even though it was only a scrap piece, I knew it would be perfect for the first background layer. 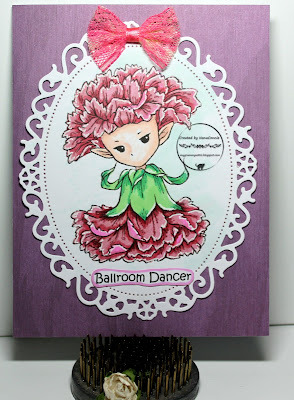 To make the second background layer, I mounted the plaid scrap onto ruby pink CS, and that gave me the 3 layers! Voila' - fast and easy. but I flipped it top to bottom and side to side. 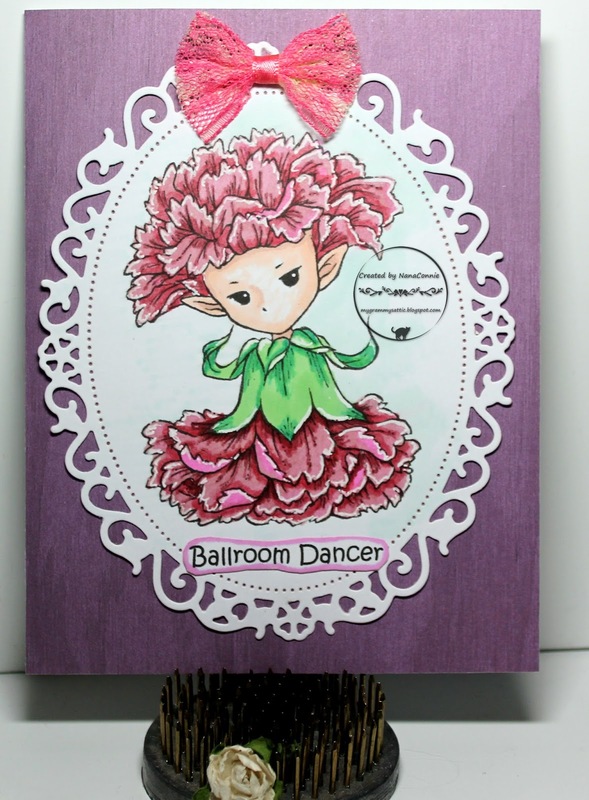 I colored the boots with my ProMarkers, then die cut them with a die from the Spellbinders Romantic Roses set. The die was actually larger than I needed for the image, so I cut once, then moved the die and cut a second time, getting the size I wanted. 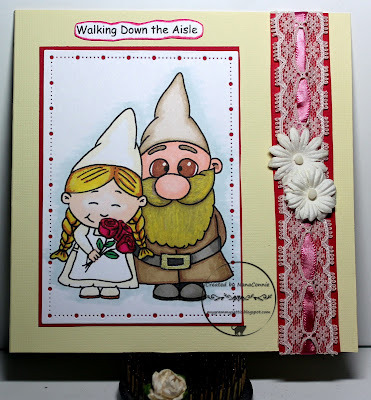 I used red CS, textured with my "Linen" embossing folder, to make the card front, and layered the image onto it. I wrapped red and white baker's twine around and tied it into a double knot. 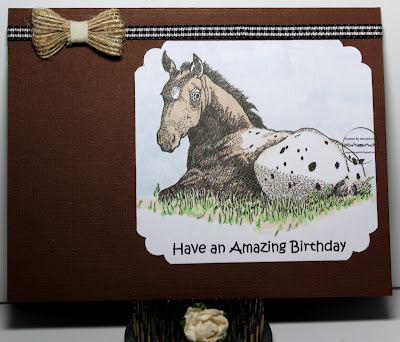 I wanted to keep it simple since it a card for a guy so the twine was the only embellishment. 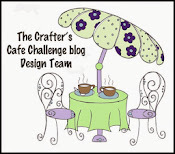 Today starts our newest monthly challenge over at 2 Crafty Critter Crazies and, for April, we're sponsored by Linda Simpson Designs. 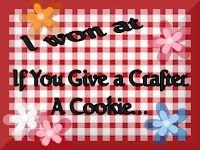 Check out the post on the 2 CCC blog for all the details. 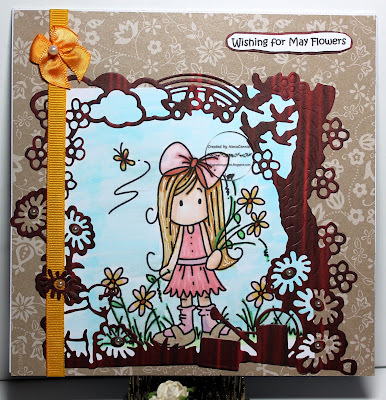 I used an image from the "So Heavenly" set and it just seemed to call for flowers and butterflies! The image is cut with a die from Spellbinders and I backed it with yellow CS so that the little butterfly 'negatives' would show through. 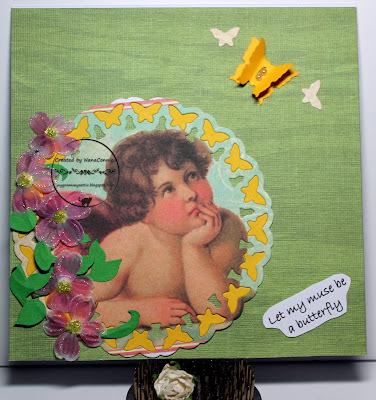 I used two of the tiny butterflies which fell out, along with two Cheery Lynn die cuts I used to make the yellow, double butterfly. 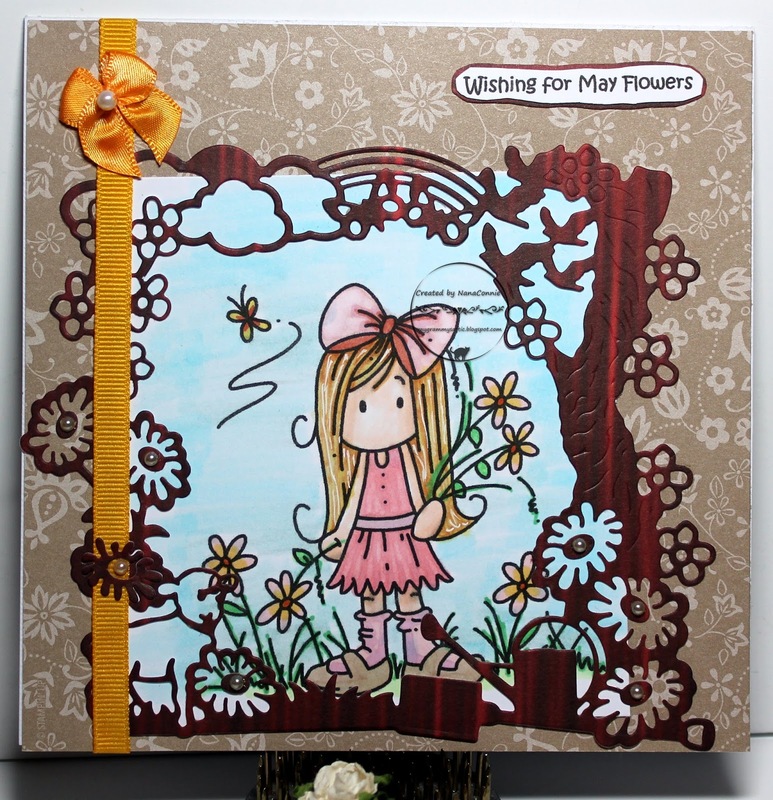 I found the lovely spring flowers in my stash and decided to use them along the left side of the main image. 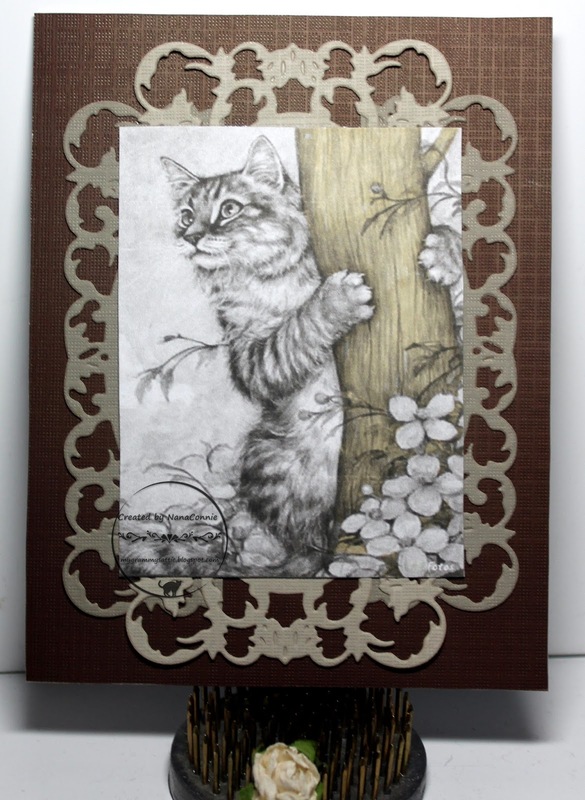 Everything went onto a scrap of wood grain CS for the background. I printed, cut and added the sentiment and finally found 2 left over pearls which I used as the body of the double butterfly.